Find your community. Flex your limits. With 9 different class styles, free wellness coaching and goal setting, and local partners including chiropractors and nutritionists, our studio community has everything you need in one place! Tired of feeling like just another mat in the studio? We work our seats off to be the most welcoming studio in the Bay. We want to get to know you, so feel free to stay and chat before and after class. Whether you’re a seasoned gym veteran or you’ve never stepped in a studio, we’ve got you covered. Trying something new can be nerve-wracking- wondering what to wear? What to bring? What to expect? Don’t worry, we’ve got all your answers. Flex Fusion is more than a gym. We are a supportive community who pulls together to reach personal goals and foster friendships along the way. Our teachers are passionate and highly certified and our barre-tenders at the front desk are the friendliest you’ll ever meet. Our custom-built studios combine the benefits of barre, yoga, TRX, and boot camp so you don’t have to run all over town to get your workout in. 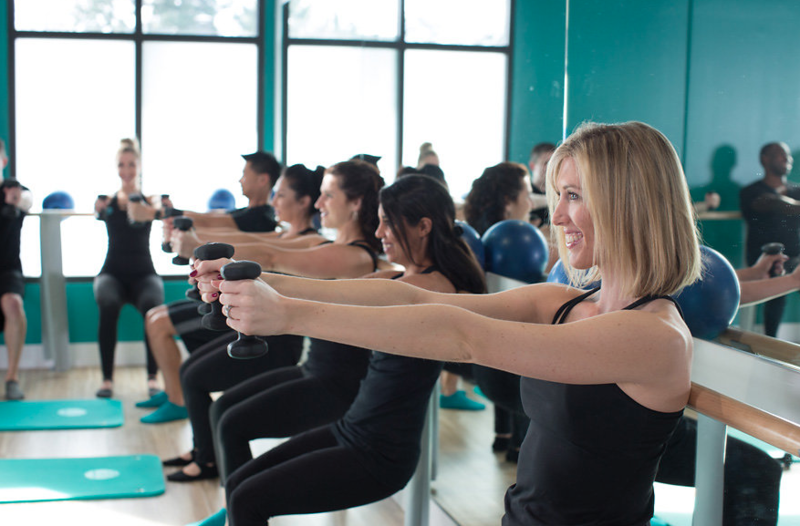 Plus, our classes fuse together to give you the most well-rounded workout in the Bay. Whether you’re looking to sweat it out in a cardio boot camp, sculpt and tone in barre, build strength in TRfleX or stretch it all out in yoga, we’ve got it in one place. Get ready to flex your limits and reach your fitness goals. What are we all about? Watch to find out! I Flex because it provides workouts that I love enough to actually do! And if I stop showing up, members and instructors will notice, and they care enough to reach out and see if I'm doing okay. Gone are the days of paying for a gym membership I never use. Gone are the days of anonymity and feeling like I'm going it alone in my fitness journey. I'm never leaving Flex! Flex is not your typical Silicon Valley cookie cutter studio. There is a true sense of community, talented instructors that are invested in you, and a never-boring mix of classes! Plus, it’s locally owned. I have taken over 500 barre classes all over the country and Barre Burn at Flex is in my top five favorite classes of all time! The individual attention and care! It really emphasizes that I don't have to be in competition with anyone, I'm not just another face in the mirror or body on a mat. My fitness journey and goals are just as valid as anyone else's and it's ok to modify or go at my own pace.